Next Tuesday, February 24th, Square Enix will be releasing an eagerly awaited update for their MMO Final Fantasy XIV: A Realm Reborn, officially called “Patch 2.51”. Sounds exciting, doesn’t it? However, there is much more to that name that meets the eye, and any fan of the Final Fantasy series is probably pretty stoked about the inclusion of the Final Fantasy VII towering amusement center, the Gold Saucer. Surely reading the words Gold Saucer conjure up memories of the Battle Arena and Chocobo Races from the PlayStation 1 classic. And something that was a bit of an annoyance for some is making its return in that you will not be able to spend real money in the Gold Saucer… you will have to earn and spend Gold Saucer Points. Saddle up atop a majestic bird and go roaring down the turf to be crowned the fleetest in all of Eorzea! Chocobo racing, or “the sport of sultans”, as some have taken to calling it, is an experience like none other. Even the best bird has its limits, so what’s a trainer to do when their chocobo reaches theirs? Arrange a “covering”, a union between two retired veterans to produce fledglings of a higher pedigree. You and an opponent are locked in single combat – the five cards in your hand your sole weapon and your wits alone will help guide you to victory or defeat. This is Triple Triad, the gaming phenomenon that’s swept Eorzea! In addition to chocobo racing and Triple Triad, the Gold Saucer hosts several minigames for your entertainment. Simple yet captivating, you can never have too much time to enjoy these mini-attractions. 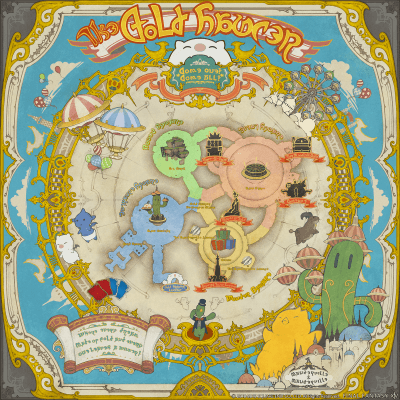 While enjoying the sights and sounds of the Gold Saucer, adventurers may happen upon audience-participatory events known as Gold Saucer Active Time Events, or GATEs. Why not join in the revelry with your comrades by seeking out a nearby GATE client? Patch 2.51 will also add to the Before the Fall scenario introduced in 2.5. Final Fantasy XIV: A Realm Reborn is available now on the PlayStation 3, PlayStation 4, and PC.